A Parish Church St Wulfran’s, Ovingdean, a Church of England parish near Brighton, is above all the home base of a lively, outward-looking Christian community. We are an inclusive congregation with a real sense of outreach to our local community and beyond, with a commitment to continuing the loving work of Jesus Christ. The Sung Parish Eucharist at 10 am on Sundays is our main act of worship. An Ancient Church St Wulfran’s is one of the oldest buildings in the city of Brighton and Hove, and is a place of prayer and peace. It has been our spiritual home, serving the community of Ovingdean, for over a thousand years. 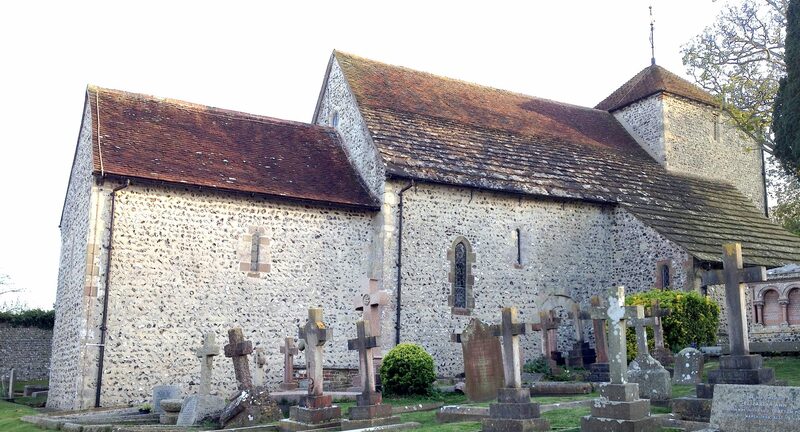 A Beautiful Church The Victorian artist Charles Eamer Kempe was an Ovingdean resident and his famous Kempe Ceiling and stained glass windows make St Wulfran’s a very special place. An Open Church Our church is open daily 10.00 – 16.00 for prayer and visits. It is a place of serenity, peace and reflection, with a true sense of God’s presence. The Blessed Sacrament is reserved in the Lady Chapel, which is set aside for prayer and contemplation. You will find a warm welcome at any of our services and activities. We regret that our ancient building is currently not fully accessible for people with mobility issues, particularly those who use a wheelchair. There is a fairly steep slope up to the church gate, as well as some steps. We do have portable ramps that can be deployed. If you plan to visit us and require help with access, please Contact Us in advance and we will do our best to assist you. Maiastra – String Quartet Recital. Saturday 6 April 2019. 7.30 pm. Ash Wednesday Service @ 7 pm : 06 March 2019. TONIGHT @ 7 PM Jesus Christ calls you from ashes to glory. All are welcome.